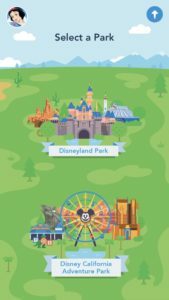 Just recently, Disney launched a new app aimed to better your park experience. There are so many fun features to know about, and I’m excited to share them with you today. 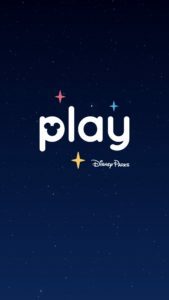 I worked with Disney directly to learn all about the new app in early July 2018. We walked through the park, played music, challenged each other with trivia, played games while waiting to board Space Mountain, and more. 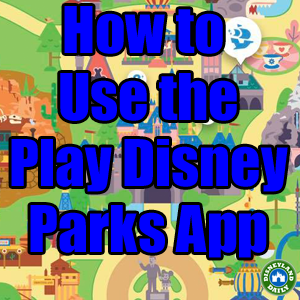 Follow me to learn all about how this app can add to your experience at both Disneyland and California Adventure. Walt Disney World, too! 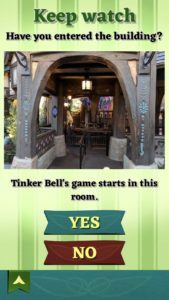 *This fun new app was created to keep guests engaged with each other. Instead of spending your time in line distracted from your friends and family, this app brings people together. So much thought was put into its design. I hope you love it as much as I do. 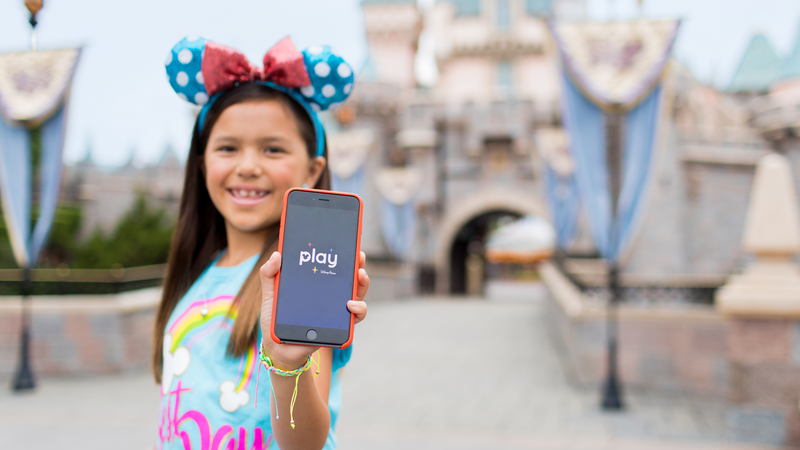 *The Play Disney Parks App is available for Apple and Android devices. It’s for use at both Disneyland and Walt Disney World. *The app doesn’t use wifi or data. You can have your device set in airplane mode and still access the app. *Concerned about your battery? Consider bringing a backup charger or invest in a Fuel Rod. 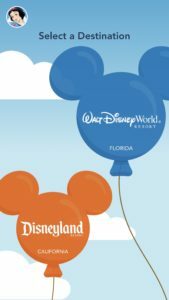 I share all about Fuel Rods and how convenient they are at Disney Resorts (and beyond) in this post. *As you work through the app – today or during your park visits – you will collect “Achievements”. These allow you to keep track of what you have completed in your “Trophy Case”. 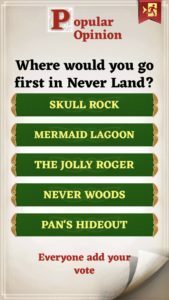 *There are Achievements available to guests in or outside of the parks. 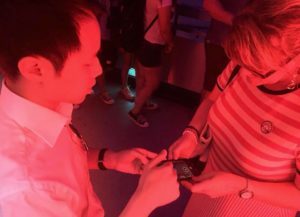 There are also harder-to-get Achievements earned by riding certain attractions or by accomplishing an impressive feat at an Attraction Experience. These more advanced Achievements are shareable on social media, too, allowing you to indulge in some friendly bragging amongst your friends. *There are three basic features on the app. 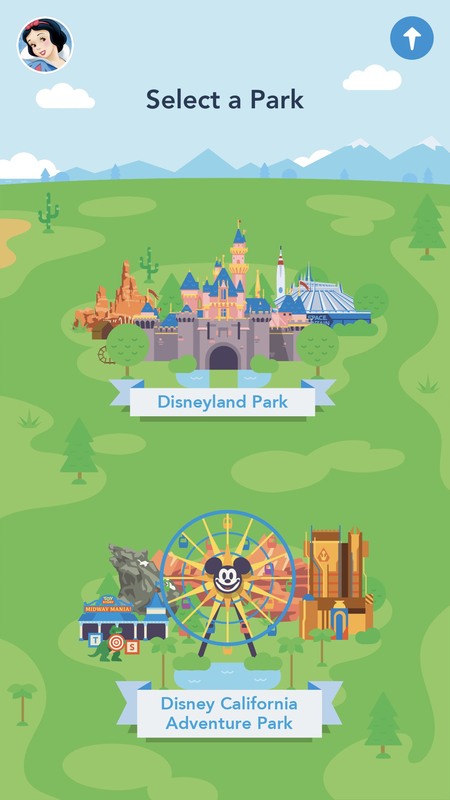 Two of those features can be used now…before you even enter the parks. One requires that you are present in the park. Let’s look further into what the app entails so that you can get the most out of your experience. After you download the app, it’s easy to get started. Follow along these images to see what that looks like. Next, you’ll select Disneyland or Walt Disney World. Then, you’ll select a park. 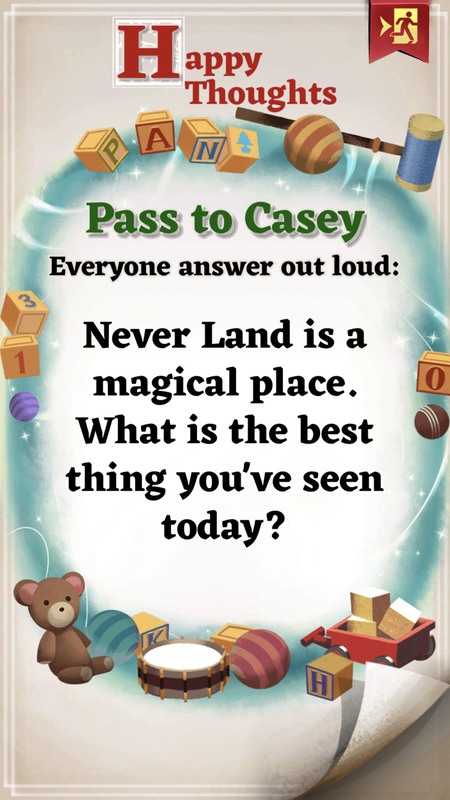 At this point, you’ll arrive in the park, ready to use the Trivia, Music or Attraction Experience options. At any point, you can update your Profile “Playfile” with a character image. I chose Snow White. Locate the question mark icons on the app to find all of the Trivia points. This next image shows what these look like. 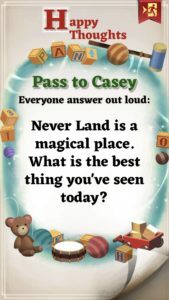 Each land includes Trivia questions. 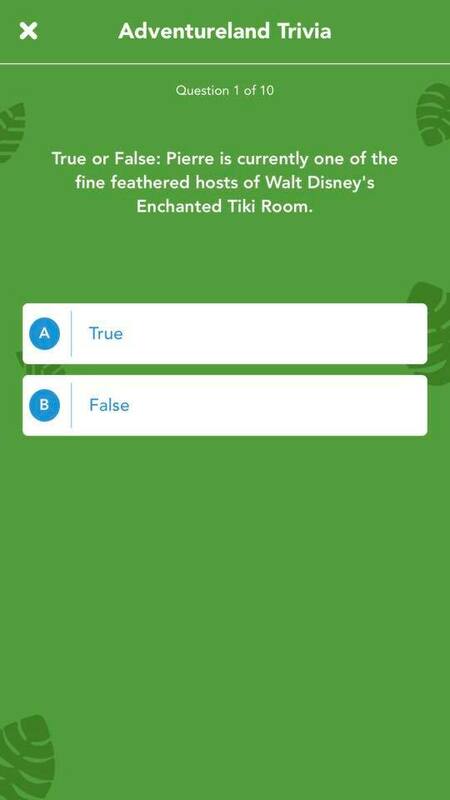 You can access these questions now to brush up on Disney facts, or you can wait until you arrive at the park. Browse through the questions to challenge friends and family as you walk from attraction to attraction. Or, use the app while dining to test each other. 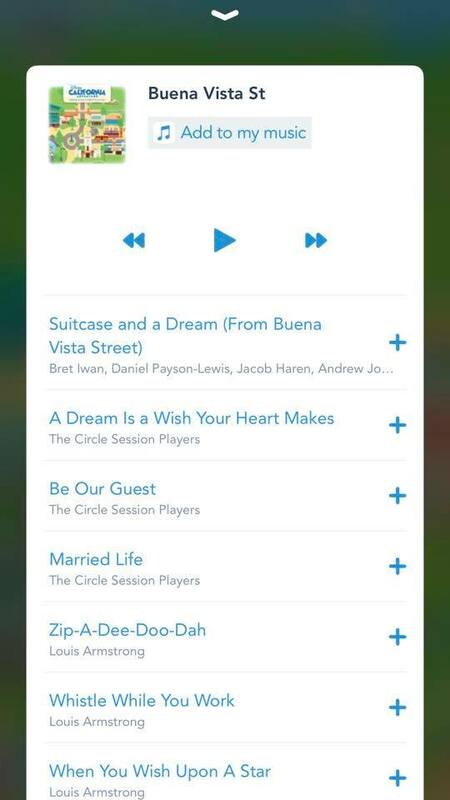 All guests may listen to samples of songs on the provided Disney Parks inspired playlists. Guests with Apple Music may sign in with their Apple Music subscription to listen to full songs. If you don’t already have a subscription, you may qualify for a free 3 month trial of Apple Music. Locate the music note icons on the map to find all of the song options. This next image shows you what these look like. 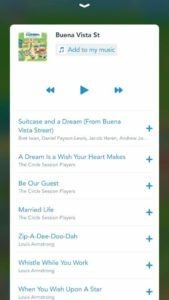 You can access these music notes now to play your favorite songs from Disneyland Resort. 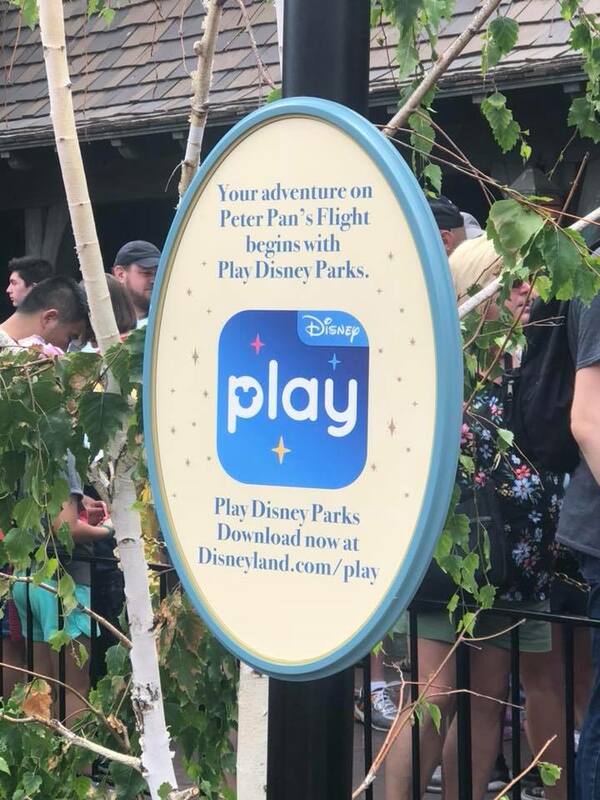 Or, you may wait until you get to the park. Consider playing music from the area you’re walking through to add to your experience. 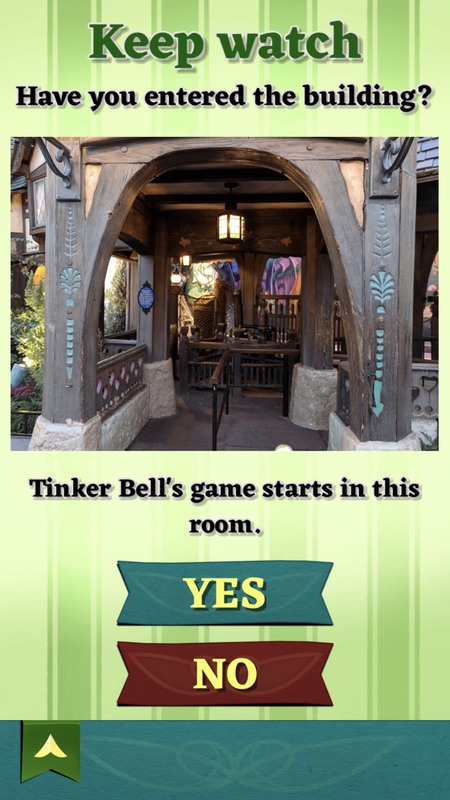 Attraction Experiences include games and dialogue prompts for guests to enjoy while in line for attractions. These experiences are ideal for 1-5 guests, however, more can play as needed. If you have a large party, I recommend breaking up into smaller groups. Each Experience starts out like this. 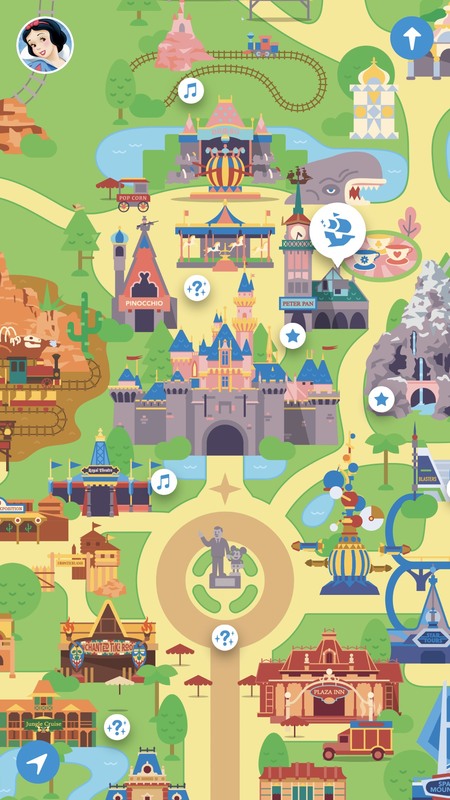 Currently, there are three attractions at the Disneyland Resort that incorporate these games. 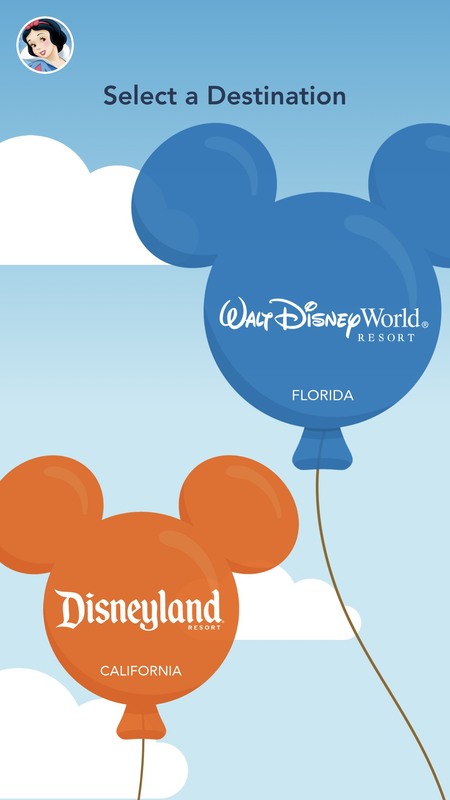 Look for these signs when in the parks to remind you of which attractions include Experiences. Each Attraction Experience is different. Space Mountain – Search for codes to enter into your app while standing in line. 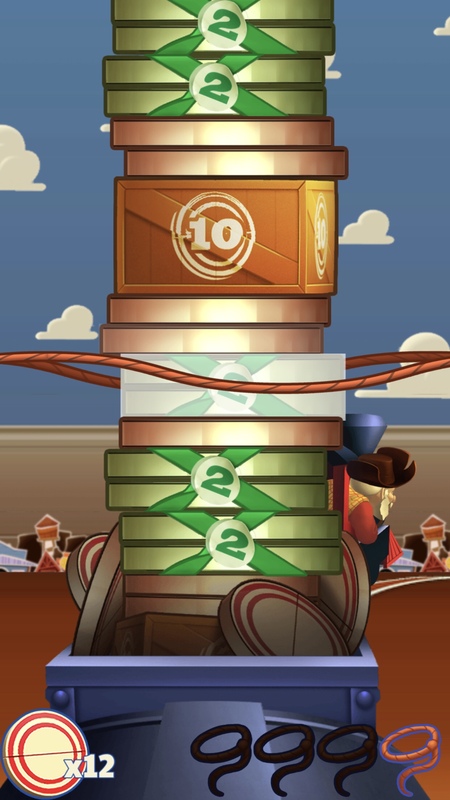 The codes will add to ‘upgrading’ your vehicle that you will use to race other guests on the app who are standing in line at the same time as you. You can also play interactive games with friends and family in your party. 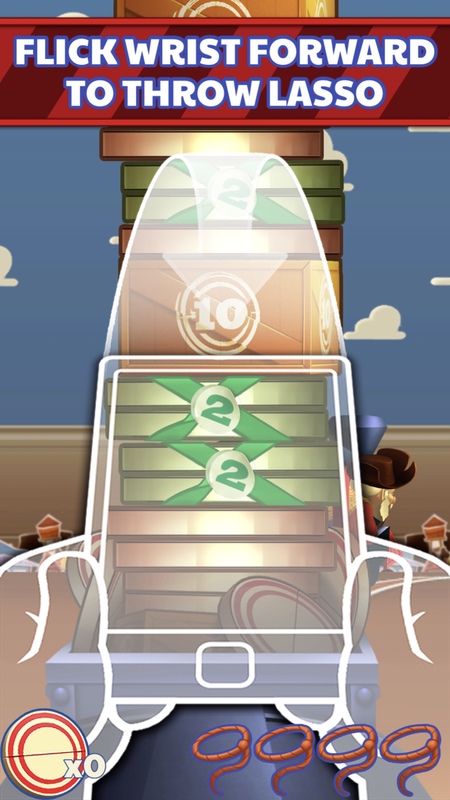 Take a look at a couple of examples of what these games look like. Ricky and I are both using my device at the same time to play a balance game. Another game includes guests bending left and right, following instructions from other guests looking on. 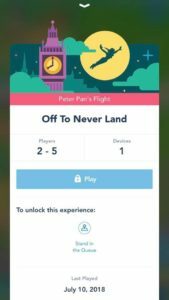 Peter Pan’s Flight – Share questions and answers related to previous and current park experiences and Disney, overall. I LOVE these questions that allow you to dive deeper into what you enjoy. “Happy Thoughts” – so fun! 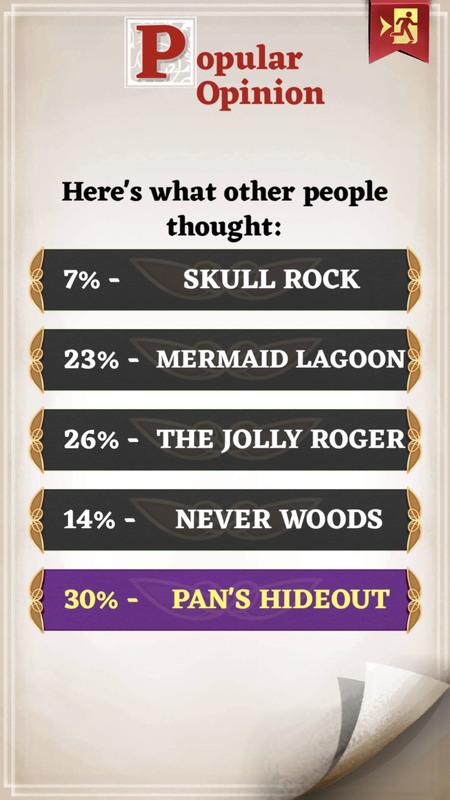 “Popular Opinions” include you and your party voting and then seeing what other guests are voting for, too. 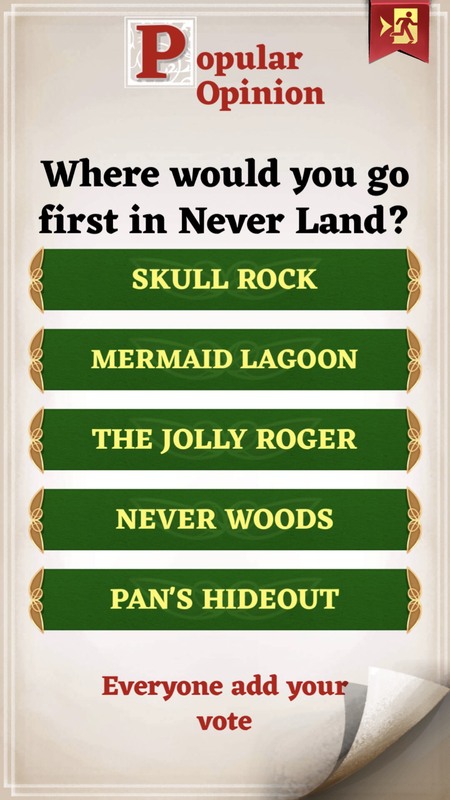 Perhaps the most popular part of the Play Disney Parks App can be found in the Peter Pan’s Flight queue. 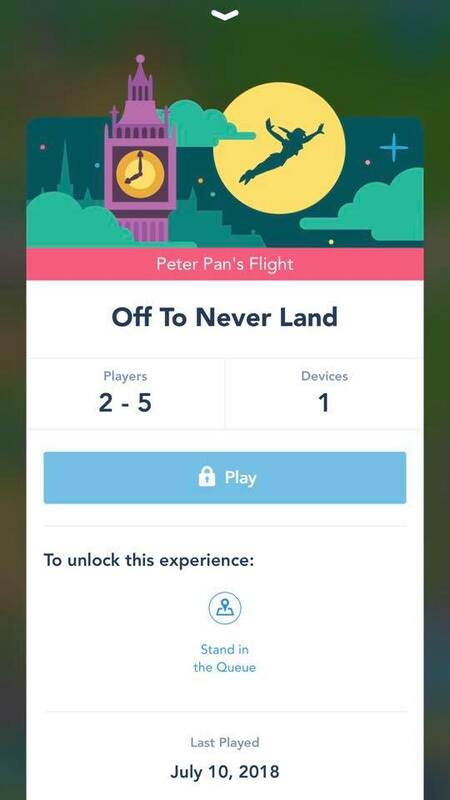 Enter the line to unlock Tinker Bell in her lantern. I don’t want to spoil what this looks like for you, so if you want a peak at it, visit this link. Otherwise, unlock it in the park and enjoy the magic there. Toy Story Midway Mania – Play games with Buzz, Woody and the Toy Story gang while in line for this attraction. 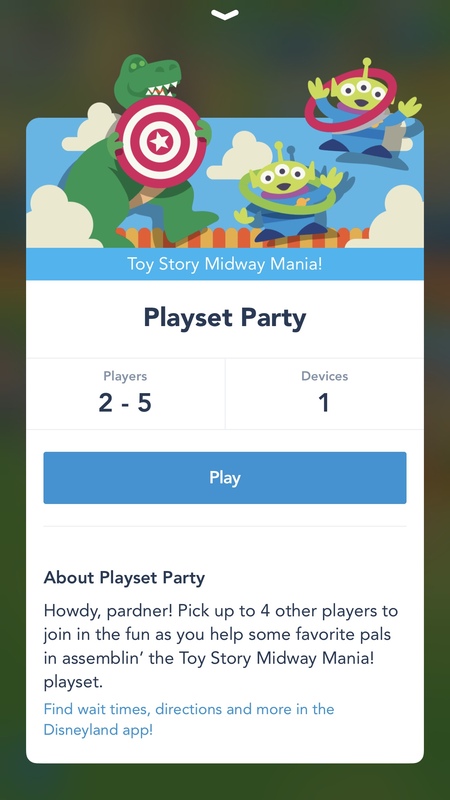 You can also experience the “Playset Party.” This is a game in which you help assemble the Toy Story Mania! Playset. When I started, this initial screen appeared. You’ll find this brief intro next. I chose to play the lasso game. Each game includes brief, simple instructions on what to do. 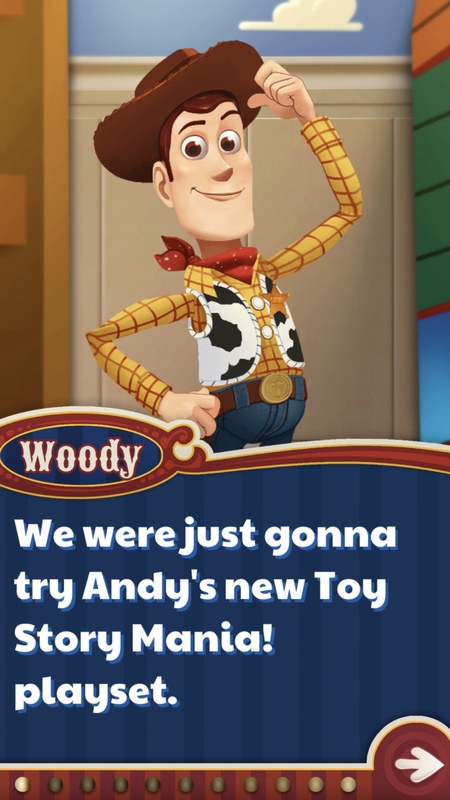 It’s not totally unlike what you’ll find within the actual Toy Story Midway Mania attraction games. 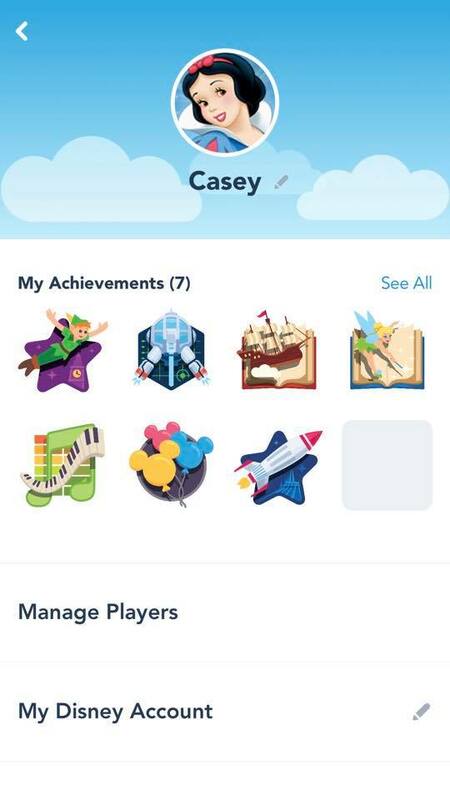 With each visit to the Play Disney Parks App, you’ll collect “Achievements”, which will be stored in your virtual “Trophy Case”. This serves as a fun look back on all you have achieved both in and outside of the parks. Take a look at my Trophy Case. These icons represent what I had accomplished the first day I played. 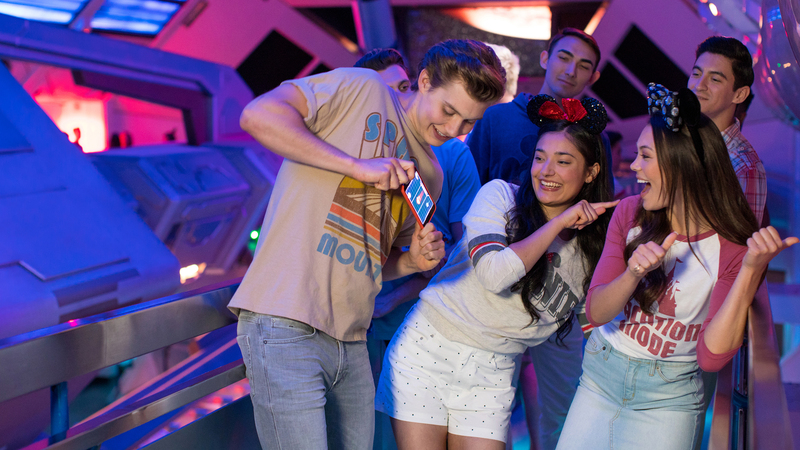 Attraction Experiences, Music, and Trivia are all there……with lots of space for more to come. These Achievements populate as you move through the app. 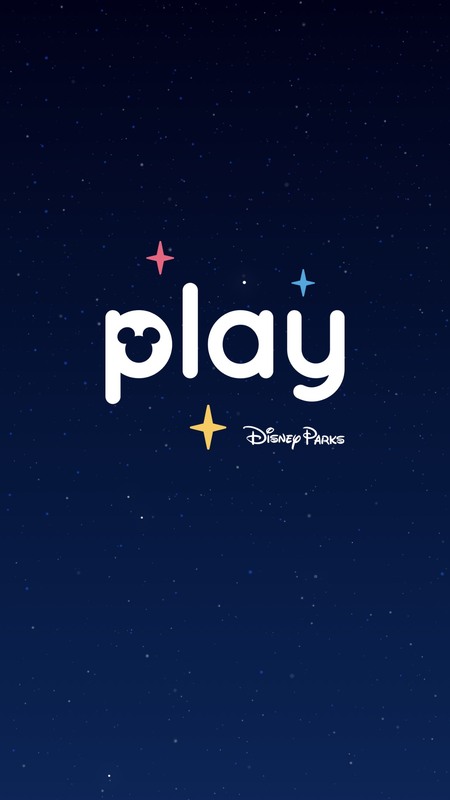 Beginning May 31, 2019, when this new land opens, guests will be able to use this app to explore Batuu! I’ll share more as we learn more about this new feature. 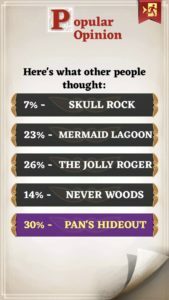 Here is what Disney has given us so far. Trading pins are available that coordinate with each achievement. 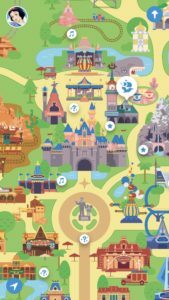 Disney shares all about the pins in this post. Space Mountaineer pin – Tomorrowland Light & Power Co.
That fortune will be saved into your Play Disney Parks App as well as printed on the keepsake card you may have received before. This is a fun little souvenir to take home with you. For free this time! Disney describes more on that here. 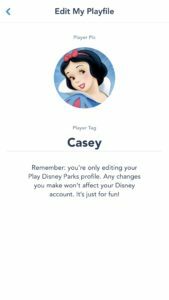 As the Play Disney Parks App is updated with new features, I’ll edit this post to reflect them. If your game requires you to find codes or symbols in the queue to enter into the app, they’re most easily found from the standby portion rather than the FASTPASS portion. As I discover more to do and see on the app, I’ll also update this post with that information. Questions? Let me know how I can help! Leave me a comment here on this post and I’ll do my best to find the information you’re looking for. Have you noticed any issues w/ the app crashing or disrupting the functionality of the regular DL app?